I am so excited about this post. If I were a puppy, my tail would be wagging! She also made one with Hershey Kisses so the kiddos can kiss their brains. Adorable! Since we are all about being helpful and kind in Our School Family, I knew I wanted to make a Hug your Heart jar. I am always looking for ways to reinforce positive behaviors. At the beginning of the year, I do A LOT of celebrating of the behaviors I want the kiddos to learn. After a few months, my kiddos are great about celebrating each other and adding helpful hearts for each other when they notice helpful and kind acts. I have never felt the need to "reward" them for doing those things with "treats". I have seen the "treat" they get from realizing they are filling someone's bucket and heart by being helpful and kind. There are times though where a little something extra special might need to be done. 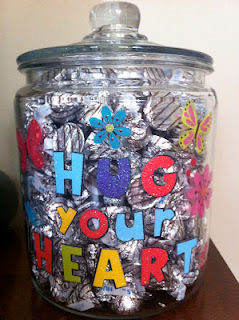 Here are my plans for using the Hug your Heart jar. We always talk about our heart words at the beginning of the year. We also talk about our heart promises. These are words and actions that show someone you care about and respect them. Conscious Discipline talks about the importance of building connections with others and how those connections wire the brain for optimal learning to take place. Those connections are made by gentle touches, eye contact, and building those relationships in an environment where you feel safe and loved. You can get this book off eBay for around $6. It is an adorable book that talks all about different kinds of hugs. It talks about the hugs different animals give and the kind of hugs you can get from different people. After reading the book, we are going to come up with some "secret hugs" that only those in Our School Family will know how to give. I have done this before and the kiddos LOVE having this secret that connects us together. Here is a little poem I wrote about hugs that I'll share with the kiddos. Here is the H.U.G. acronym I am putting on the inside of the lid. The connections we make through our words and hugs are how we can show our little ones we love them. It is up to us to see our little ones either as a blessing or a burden. I would love for you to take a few seconds and leave a heart note letting me know what you think of the Hug your Heart jar. Awwww, I love your Hug your Heart Jar!!! 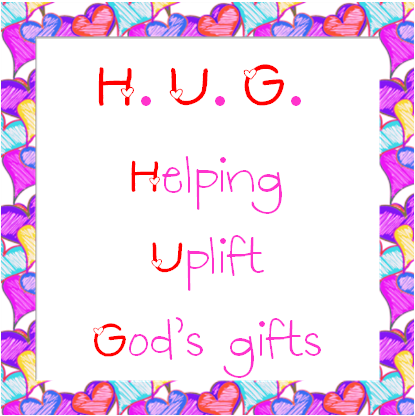 I especially love the HUG acronym. I love this so much! What a wonderful idea! Ever notice that positive behavior improves when you take the time to notice it?! So much fun! I think I need to make these as well. Aww this is adorable! I love the concept of it and reinforcing those positive behaviors in our little sweethearts. 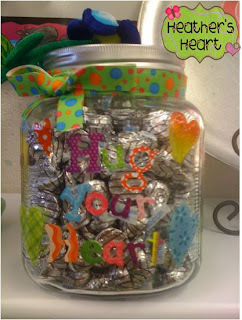 Your Hug Your Heart jar turned out really cute! I love the poem you created to share with the kiddos - super creative & caring! Yay for Made It Monday's linkup party. Your post and sweet little jar makes me want to give out some hugs!!!! Real ones and the chocolate kind (although I prefer kisses!) Thanks for sharing the poem and idea. I love it! Adorable-the Hug your Heart jar and your kitty! You have the best posts...so heartfelt!! I'm sending a hug your way. Thanks for letting your light shine!! I just love everything you post. The poem is wonderful and I love your idea for the Hug Your Heart jar. 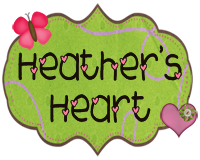 Heather, I just discovered your blog today and fell in love!! I have spent hours pouring over your posts and exploring the Conscious Discipline website. I was wondering if you would be willing to post something like a schedule of how you introduce all of these concepts to your kiddos at the beginning of the year. What do you introduce on the first day, and in what order, on the second day, and so on? This is in reference to your heart stuff and the CD stuff - heart words, heart promises, helping hearts (bucket fillers), hug your heart, safekeeper, the school family and its jobs, calm down procedures, big voice, etc. If you need to email me, it's stockto2276@gmail.com. Thank you for your inspiring posts!!! I love this! I agree with you that most of the time the intrinsic "treat" of seeing them be proud of their kindness is enough, but especially in the beginning, to really get them to internalize it I love the Hug jar. 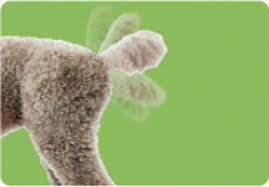 Also, especially when a child who usually chooses NOT to show those traits, this could be a very powerful incentive? It is really cute! Thanks for sharing! Thanks for the book tip - I will have to check that one out, sounds adorable! I love your jar, I need to make one for my classroom also! Thanks for the poem I think that it will help reinforce the kindness to others concept. I LOVE the idea of secret class hugs!! I'm going to have to get my hands on that book...thanks so much for sharing it with us! (And, thanks for the little shout out and link back to my blog post!) Your jar turned out AH-DORABLE! Love!! Thank you for sharing! I just saw this on Pinterest!! LOVE it! I nominated you for an award!!! Stop by our blog to pick it up! I LOVE this idea Thanks so much for sharing it with us! So cute. Love your blog. Have you thought about adding pin buttons? I'll pin this. Know you are very busy. Have a great year! Every time I visit your blog I get a burst of inspiration! I love reinforcing the positive behaviors as well! The "give your heart a hug" jar is so adorable! Right now I am hosting my very first linky party about resolutions for the new school year! I would love if you checked it out! Thanks so much! Your jar turned out super cute! Thanks for visiting my new blog. I love your design-adorable! I'm your newest follower! 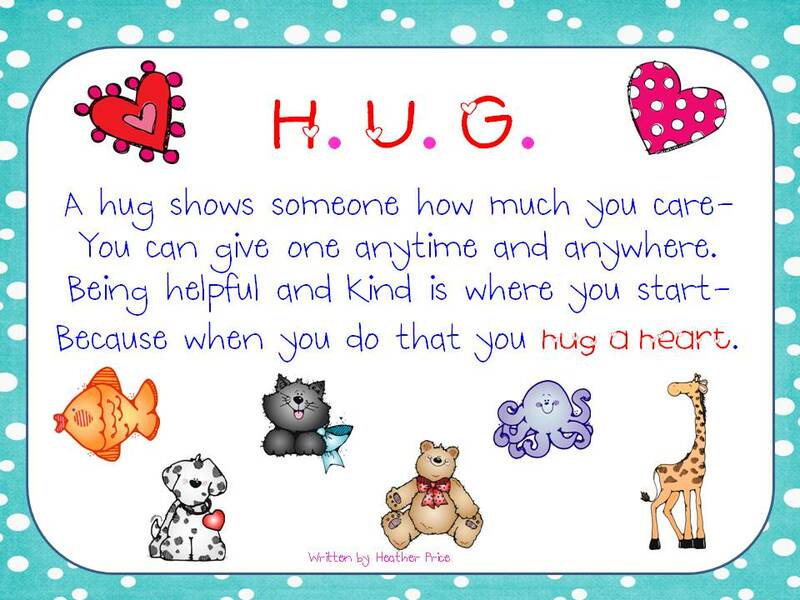 I love this- especially your acronym for 'hug.' I could never use the chocolate, though, because I know I'd eat every bit of it after school on some stressful, low-energy day! Love it! I may have to go pick up a jar to make this! I nominated you for the Versatile Blogger award. Stop by my blog to get it! This is so cute and the kids are going to love it! I love this and I'm giving you a virtual hug for posting this and sharing! Hugs to you for this wonderful post! I love it so much! Thank you! 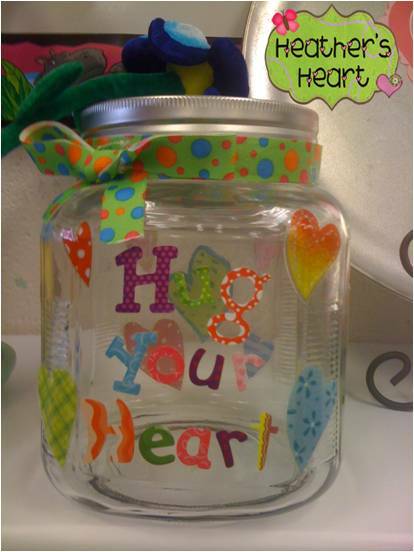 Loving that "hug your heart" jar...it turned out just as adorable as you are, chicky!!!!! I have had that book for ages and use it in February. What a great idea! Love, love your jar. Thanks so much! Very cute! I found you through Monday Made It. Are you at a Christian school? 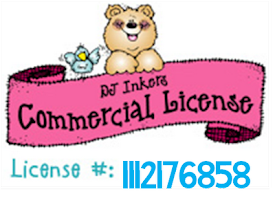 :) Please visit my new blog at Visit P.J. Jots! This is so precious! I love it! I would definitely look into something like this. I bought the Conscious Discipline book but unfortunately I've had to shove it back due to other book studies with actual deadlines from work. But it's my over the school year project to read it and work to implement what I can this year and hit it hard next year. I'll be sure to stop by Amanda's page and see what she did! Thanks again!! OMG too cute! 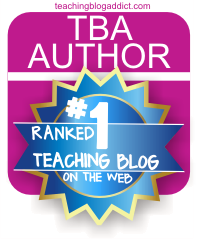 If you have time stop by my blog and join my "Classroom Tours Linky Party"! I would love to see your room!! 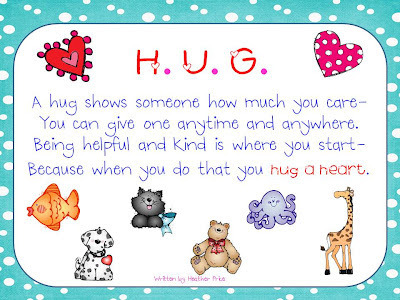 I LOVE the HUG a Heart idea! This would be a wonderful way to foster caring and a strong classroom community! Thank you for sharing your wonderful ideas!! I LOVE your jar. I think I'm going to have to add it to my (already long) to-do list! I love the Hug Your Heart Jar!! Super Cute!! Congrats! I just awarded you the Versatile Blogger Award. 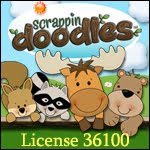 Check it out on Teise's Tidbits. Enjoy your blog by the way! That is AMAZING!!!! I LOVE it! It's kind of like my sweet things chart, but even cuter! :) And having secret hugs...how precious! Can you share what some of yours are? Or do you let them come up with them? I love your hug a heart jar! I am so doing it! I have the jar all ready to go! 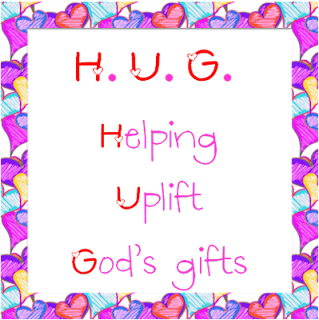 Thank you for the poem and HUG acronym. I love it!!! love the hug jar! Thanks for stopping by my blog and becoming a follower I am now following you. That is absolutely the cutest idea I have seen in a long time! I am going to have to steal it. Thanks for the great idea! Your two newest posts are JUST PRECIOUS! I Love all your jars! HUG YOUR HEART?!? LOVE! So sweet!!! I love your site and can't wait to hop over to it for more ideas! I love the kiss your brain idea...will definitely be adopting it ASAP...thanks for sharing. This is really cute. I don't know where I originally heard about this jar, but I made one myself over the summer. I'll have to make a copy of the poem to put beside the jar. I'll be mentioning the poem in my blog within the upcoming week.